The 45TH annual Kips Bay Show House in New York City recently took place in support of the Boys and Girls Club. Each spring, a grand townhouse in the Upper East Side is transformed in just a few weeks by participating architecture & design firms. 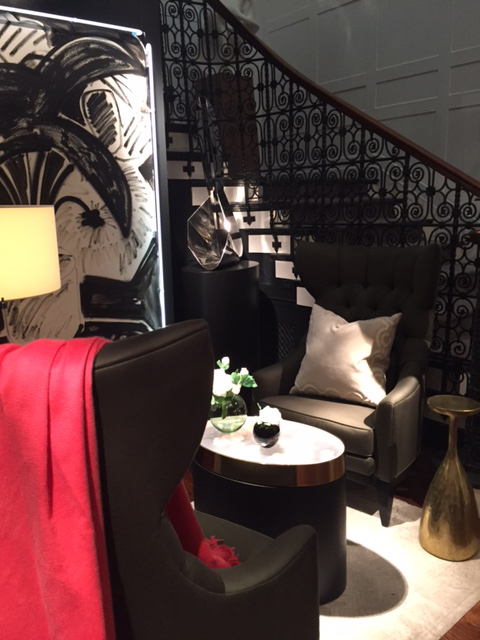 The neo-Georgian townhouse at 125 East 65th Street was the location for this year’s Show House. Originally designed by renowned American architect Charles A. Platt, there have only been two occupants since the house was built in 1905. The interior is elegant with 12 foot high ceilings and a double-width staircase. 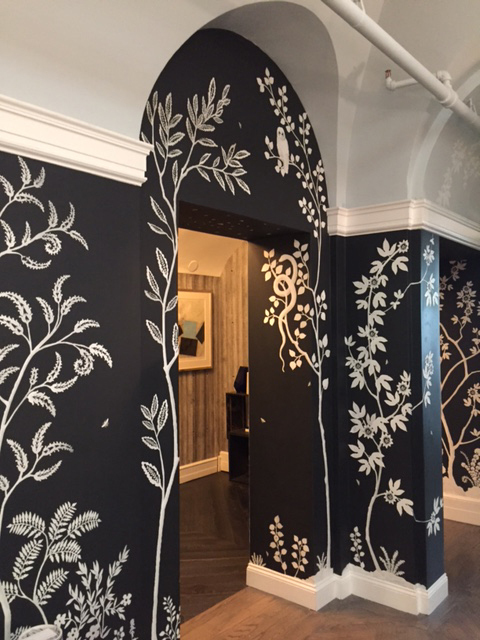 The entryway & foyer were transformed by Powell & Bonnell, the only Canadian firm participating in the event. The existing traditional architecture was paired with interesting contemporary furnishings & lighting. The stairway & upper hallway walls were adorned with custom plaster-on-canvas wall covering which was really dramatic and striking in the space. 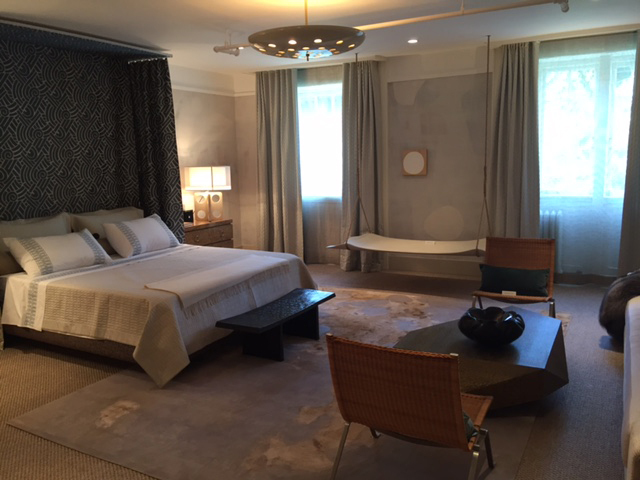 This elegant bedroom had a calming palette of colours and luxurious finishes & textures. The swing added a whimsical and unexpected touch. 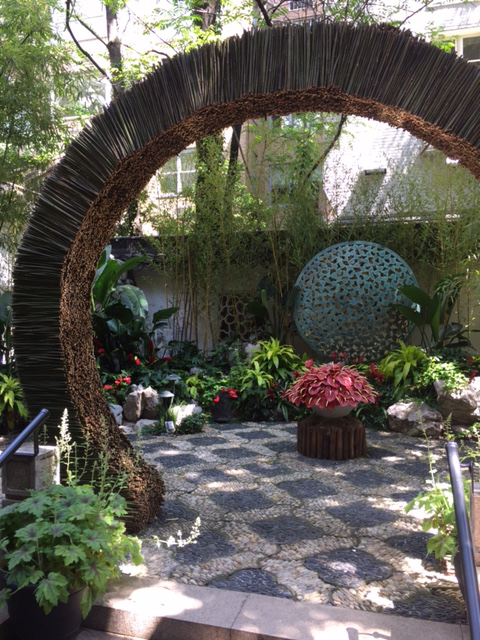 My favourite space was the backyard terrace termed “Bamboo Court”. This Japanese style garden was a picturesque sanctuary that was such a pleasant surprise to discover. A real oasis in the heart of the city.